We are offering superior grade Corrugated Roofing Sheets that are the most preferred choice for shading purpose in building structures. These are constructed from hot-dip galvanized mild steel. 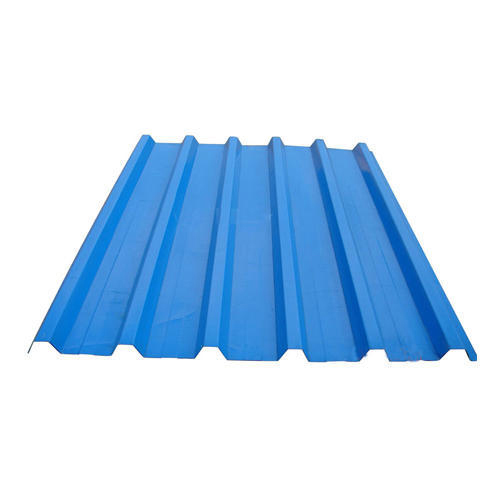 Roofing sheets are corrugated for improving their bending strength. Cold rolled for corrugation, these sheets are available in coating of zinc, aluminum or tin for excellent protection from corrosion. All these roofing sheets can be easily curved with more strength through the process of bull-nosing. It can be curved in concave or convex shape. Further, sheets remarkably improve the architecture of building structures.